The Empowered Expert Committee on December 7 last year had identified an additional 19 contenders for the Institutes of Eminence tag. In what could cause further delay in the announcement of a fresh list of Institutes of Eminence (IoE), the University Grants Commission (UGC) decided Tuesday to seek clarification from the government on whether an additional 10 institutions, over and above the original mandate of 10 public and 10 private IoEs, can be considered for the status. The Empowered Expert Committee (EEC) on December 7 last year had identified an additional 19 contenders for the IoE tag. With this, the total number of universities and institutes recommended by EEC for the eminence tag went up to 30, of which six — three public and three private — have been officially announced by the government. This is the second meeting of the Commission that has remained inconclusive on the fresh recommendations made by the EEC. The last meeting was held on December 10, 2018. 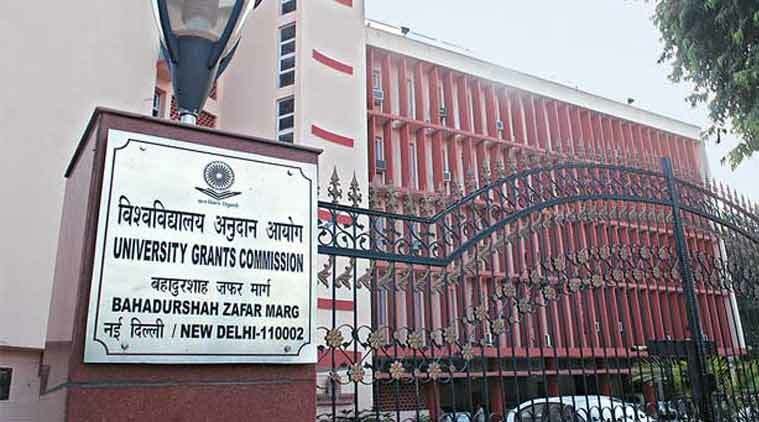 The stipulated 15-day period within which UGC should have forwarded EEC’s recommendations to the government lapsed on December 22. “Further decision can be taken after receiving clarification from the government,” said a source, who did not wish to be identified. EEC’s latest recommendation includes two more greenfield institutions like Reliance’s Jio University — Satya Bharti University backed by Satya Bharti Foundation of Bharti Airtel group and Krea University in Andhra Pradesh. That apart, under the private category, the EEC had suggested names of Amrita Vishwa Vidyapeetham in Coimbatore, VIT in Vellore, Jamia Hamdard University in New Delhi, Shiv Nadar University, Azim Premji University, Ashoka University, Kalinga Institute of Industrial Technology in Bhubaneswar, O.P. Jindal Global University, Indian Institute for Human Settlements and Institute of Public Health Sciences in Telangana. The above names are in addition to the 11 institutes recommended by the EEC in July this year. Of them, only IIT Bombay, IIT Delhi, IISc Bangalore, BITS Pilani, Manipal University and Jio University had bagged the IoE status. The remaining — IIT Madras, IIT Kharagpur, Jadhavpur University, Delhi University and Anna University — were expected to be awarded the status last month. However, both meetings of UGC since then have been inconclusive. While the Committee has urged the government to award the eminence tag to all 30 of its suggestions, it’s unclear whether the government will agree to this. The Union Cabinet had approved UGC’s ‘Institutions of Eminence Deemed to be Universities Regulations 2017’, in August, 2017. The regulations are aimed at creating an enabling architecture for 10 public and 10 private institutions to emerge as world-class institutions since the country has little representation in the international ranking of educational institutions. The private IoEs can also come up as greenfield ventures, provided the sponsoring organisation submits a convincing perspective plan for 15 years. The IoEs are proposed to have greater autonomy compared to other higher education institutions. For instance, they will be free to decide their fee for domestic and foreign students and have a flexible course duration and structure. The 10 government institutions, in addition to autonomy, will also get Rs 1,000 crore each from the HRD Ministry to achieve world-class status. The government will offer no financial assistance to private institutions. The announcement of the first six IoEs had snowballed into a political controversy with the Opposition objecting to the choice of a yet-to-be-established institution, that is Reliance Foundation’s Jio University.